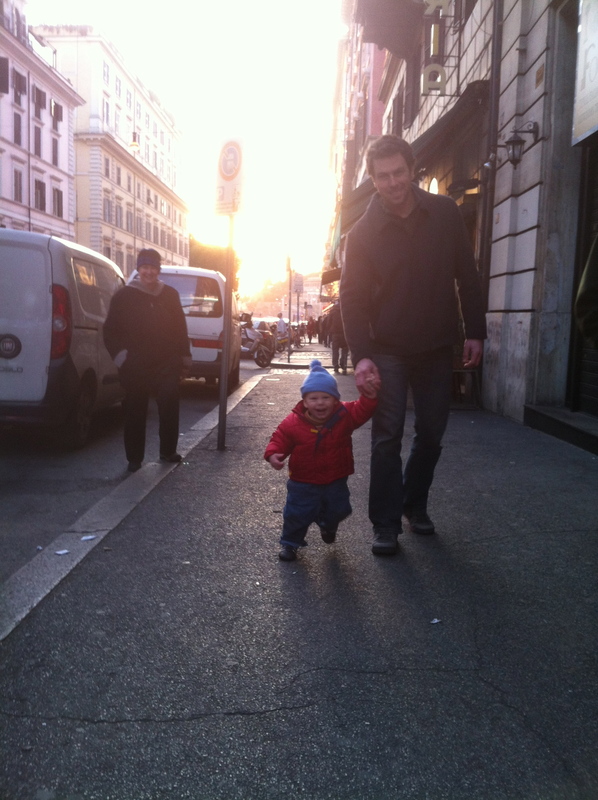 Quick update – As you may or may not know, we are in the midst of a three-week vacation in Italy. We arrived on Wednesday and, though we have not suffered much jet lag, Felix has expanded his anti-nap routine into the night. Now, he doesn’t much sleep during the day or at night. Luckily, he has started walking a lot, so we are trying to wear him down by making him walk everywhere. Today, we went to two farmers markets! One in Testaccio and another near the Circus Maximus. 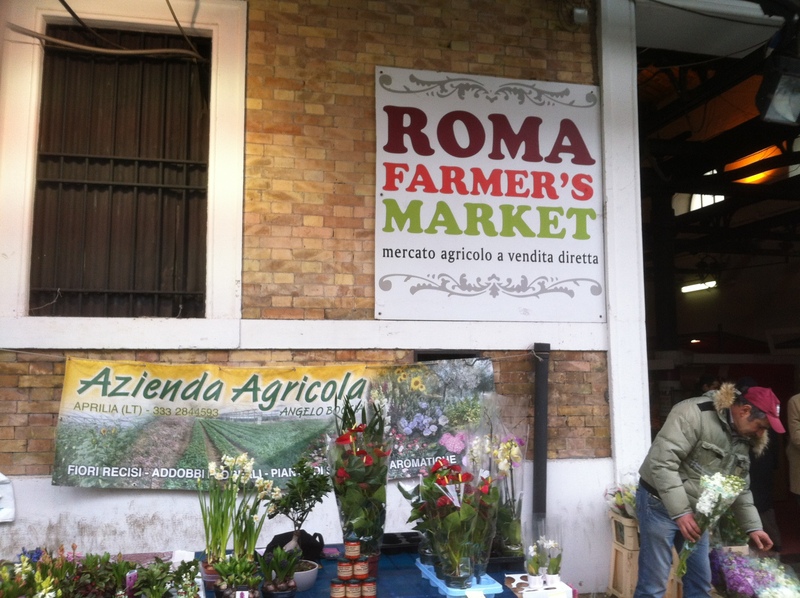 My sense is that farmers selling direct to consumers is relatively new in Rome. Both markets had a new feel to them. At both markets, the signs were clearly new. And the Circus Maximus market had lots of shiny posters advertising farms and products from Lazio (the region Rome is in). Much of the advertising seems tied to regional farm and farm product cooperatives that have seized on the local food movement as a way to promote their members’ products. There’s a related movement called Kilometer Zero that promotes regional eating and reducing food miles. What I find most fascinating about the local food movement in Italy is that appears to be copying the American farmers market movement. For instance, consider the use of the phrase ‘farmers market’ written in English to describe the event… I’d say that borrowing the American term for the market is evidence of the newness of the concept in Italy. Yet, my impression of the American farmers market movement is that it was trying to recreate a regional and seasonal food culture lost to Americans, but still found in other parts of the world. Based on the food I’ve seen in more traditional markets, super markets, fruit and vegetable vendors on quiet cobblestone streets, Italians have probably never stopped eating regionally and seasonally. 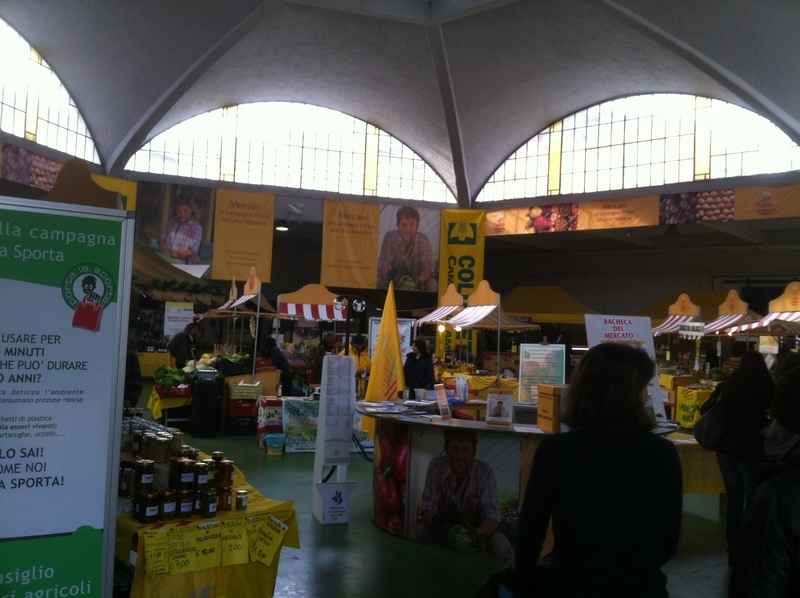 The newness of the farmers markets here in Italy is the direct-to-consumer-ness of it. Most interesting of all are the prices. At the supermarket and at the Equiline market (not a direct to consumer market) prices were unimaginably low. Prices for fruits and vegetables seemed, on the whole, a bit lower than they’d be in America. Then you’d realize that prices were for a kilo, not a pound. The bad Euro/Dollar exchange rate notwithstanding, these veggies cost less than half what they’d cost at a market in Seattle. At the farmers markets we went to today, prices were higher, and I was glad to see it. 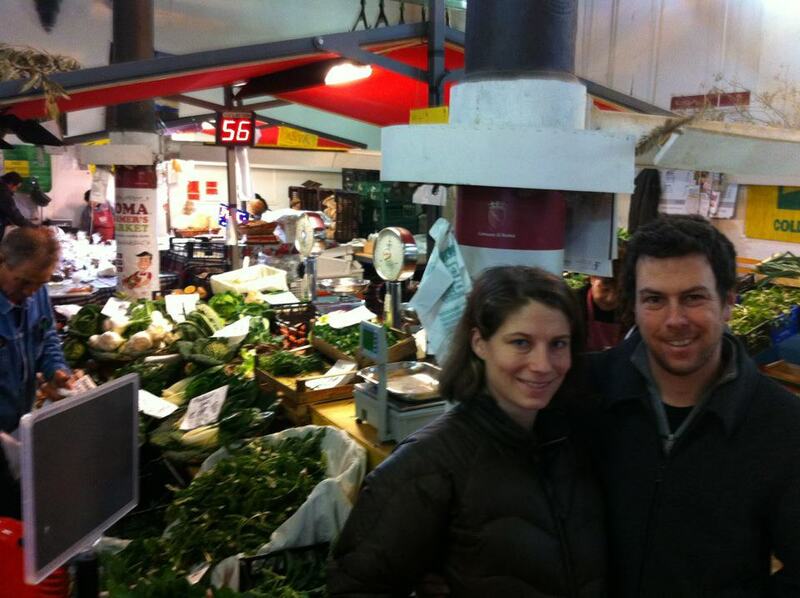 I met a few farmers at the markets today and we hope to visit a few farms near Rome this week. I’m so excited I can hardly contain myself… 2000 year-old ruins and priceless art be damned. I want a busman’s holiday. I’ll update the blog again soon, hopefully with some pictures of an Italian vegetable farm! I now make it a point to visit farmers markets any place I visit, but I hadn’t started doing that when I visited Italy. (However, I do remember stumbling on a fabulous farmers market in Vienna in 1989.) How interesting that what’s new about the markets there is the direct connection between farmer and consumer. Um, that would be only one ‘imberly’ in my name… don’t know how that happened. Great post. There’s a nice market in the area north of the Vatican. Some of the vendors are farmers, as I recall. Document your findings and take lots of pix! You can write off at least part of your time with trips to farmers’ markets and a couple of farms because it’s your ongoing biz. Ask your tax professional! Eat some gelato for me. Can’t wait to hear more about farmers markets in Italy. I wanted to make sure you heard that both of you won the “Farmer of the Year” Award from the Washington State Farmers Market Association presented at the 2012 held at Sleeping Lady over the weekend! The award recognizes an outstanding Farmer for his/her work and accomplishments at their farm and the farmers markets in which s/he participates. Two of your loyal customers nominated you! There is an award waiting for you when you get back home. Thanks Karen! We did see that we won… via Facebook. We are amazed and shocked. We get back on the 15th, see you then. YAY! Have a blast guys! Kisses to Felix. 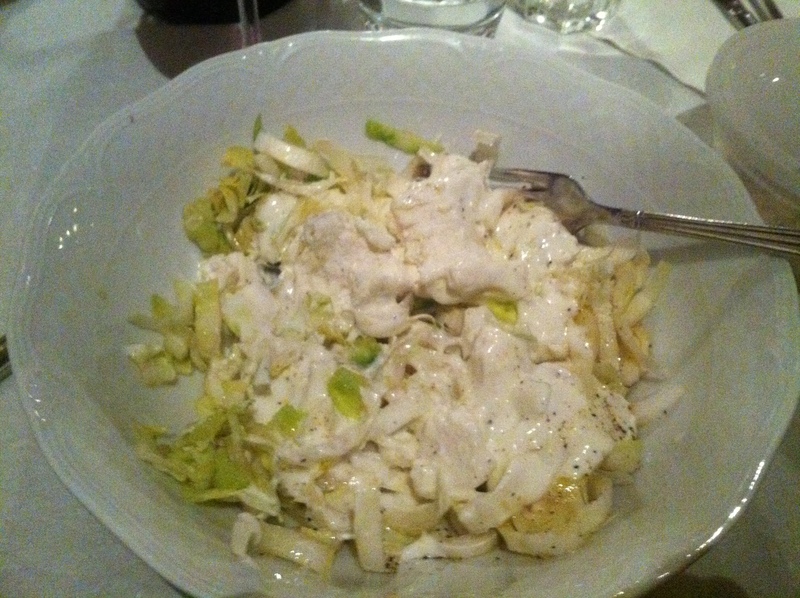 That Radicchio bianco e ricotta looks amazing. Receipe? 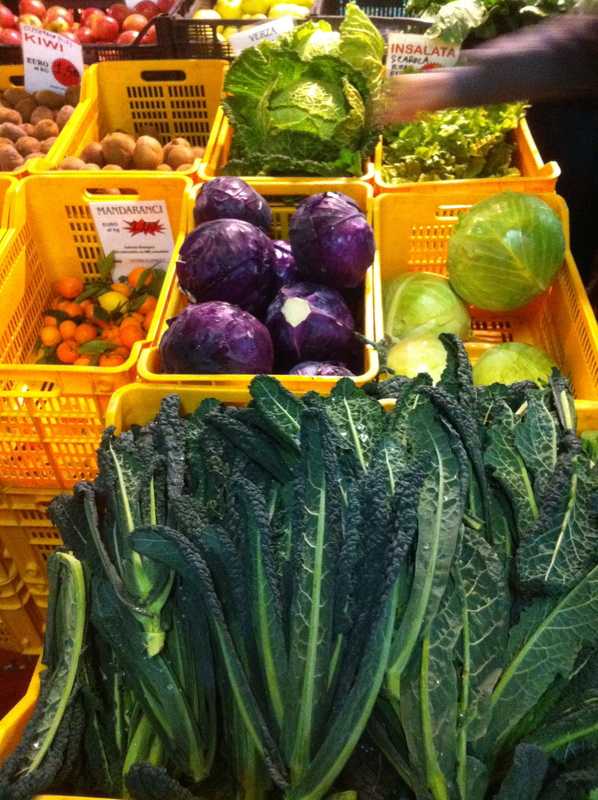 Love reading about your farm and cant wait for April when we can get your veggies!